Monday was a day of appointments all over the city, which actually means a day of riding all over the city, if you are lucky enough to commute by bike. I started early, joining the morning traffic as I snaked my way south and east and south and east for an appointment at the eastern edge of Fleet Street. I skipped the usual route and got to ride through neighborhoods I normally don’t hit, including a bonus morning skip through the Old Town Mall, suddenly slated for redevelopment, thank goodness. I’m a suspicious li’l worry wart, though, so I should probably hold that thank goodness until we see what the city decides to subsidize there. Redevelopment in Baltimore has so often meant money changing hands between a top tier of already-rich out-of-towners, so yeah, we’ll see. I passed through one public housing development after another until I was in the different world of Canton–different not because of some coincidence, but because of choices and then I made it to the monolith of factory radiology for some preventative health care (I’m fine, by the way). My appointment ran three hours longer than expected because that’s health care in this country, but I got to ride out my frustrations all the way to Federal Hill, where I met R. and O. for some art making at School 33, no longer a school but now a bunch of art studios and galleries. 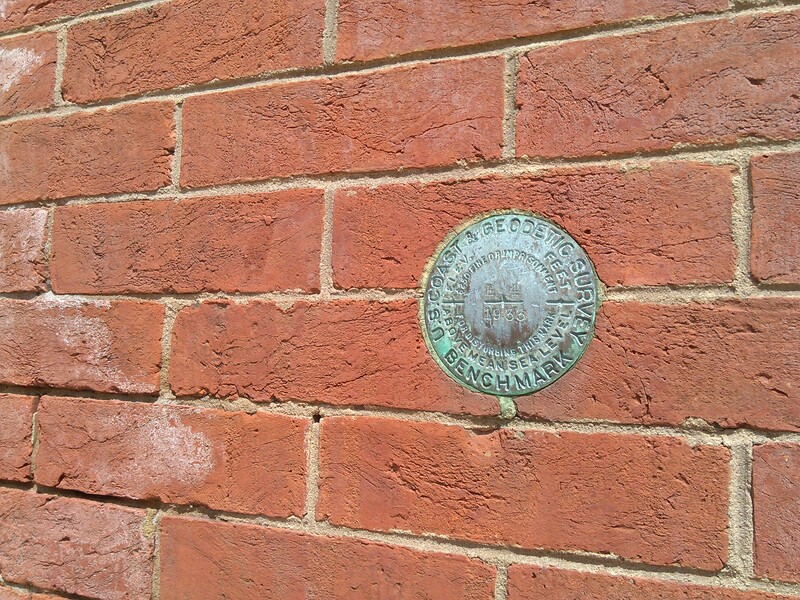 I rested against the wall for a minute before heading in, and I noticed this medallion on the wall that marked the elevation of this building back in 1933. I couldn’t make out the elevation number, but I could see the part where messing with the medallion could land you in jail. Yep, crime’s a social decision, and nobody’s accountable for the violence of redevelopment in this area, apparently. And then we did papier-mâché and ate frozen yogurt and loved friendship and then I rode my bike home with the evening traffic, another day thinking around Baltimore in springtime in the books. This entry was posted in neighborhoods, politics, public buildings, signs and tagged Canton, commuting, crime, Federal Hill, health care, Old Town Mall. Bookmark the permalink. Yeah, I hate being at a place and not knowing how high I am. More medallions!